Why has Russian defense spending fallen? Russia is one of the world leaders in terms of the share of GDP spent on defense. Russia is no longer among the world’s top three military spenders, say experts from the Stockholm International Peace Research Institute. Why has this happened and how does it compare to global trends? According to a study by experts from the Stockholm International Peace Research Institute (SIPRI), Russian defense spending has fallen and the country no longer ranks as one of the world’s top three military spenders, having been overtaken by Saudi Arabia. How much is Russia spending on defense? According to SIPRI, in 2015 Russia increased its defense spending by 7.5 percent and the Defense Ministry’s budget reached $66.4 billion. The world’s biggest military spender, according to SIPRI, is the United States, which spent $596 billion on defense in 2015. It was followed by China, with $215 billion, and Saudi Arabia, with $84.2 billion. What share of GDP does Russia’s spending constitute? Percentage-wise, Russia is one of the world leaders in terms of the share of GDP spent on defense. For instance, the United States’ defense spending makes up 3.5 percent of its GDP, with China’s reaching some 2.1 percent, whereas Russia’s amounts to 4.5 percent of its GDP. The Russian figure is the world’s largest after Saudi Arabia and the UAE, which spend 10.4 and 5.1 percent of their GDP respectively on arms. Is Russia’s military spending rising or falling? In 2015, Moscow increased its defense spending in rubles. According to military analysts, because of the devaluation of the ruble and the sanctions, some of the defense spending had to be rechanneled and some cut. 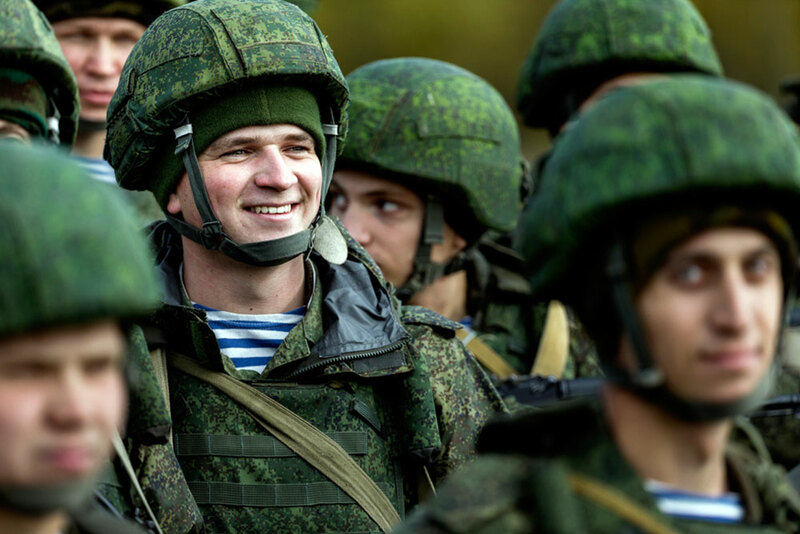 SIPRI experts predict that Russia will be cutting its military spending in 2016. Is global military spending rising or falling? For the first time since 2011, the overall amount of defense spending globally grew by 1 percent to reach $1.7 trillion in 2015. “On the one hand, spending trends reflect the escalating conflict and tension in many parts of the world; on the other hand, they show a clear break from the oil-fuelled surge in military spending of the past decade,” Sam Perlo-Freeman, head of the Military Expenditure project at SIPRI, said in the organization’s report. What do oil and foreign exchange rates have to do with it? In 2015, Russia increased its defense spending in rubles by 7.5 percent. However, the falling oil prices and the national currency’s collapse against the dollar have squeezed Moscow out of the top three slots on the SIPRI rating of military spenders: the Stockholm institute calculates defense spending in dollars. What does Russia have to save on? According to military experts, Moscow is cutting its military spending on “services” but is not reducing the amount of funds allocated for the re-armament program or service personnel training.